As a result of the collaborative process CO2 emissions per copy dropped 28% between FY14 and FY16, energy consumption per copy went down 5% in that same period. The use of renewable energy increased 30% and water consumption diminished 35% in the last year alone, by selecting suppliers with lower environmental footprints. To get to the interventios that resulted in these performance boosts, the team applied the Symbiosis in Development (SiD) sustainable development framework. This framework is designed to innovate in complex multi-stakeholder environments towards systemic improvements. In a co-creation session IKEA and Except searched for a game changer to boost the sustainability performance of the IKEA catalogue. The systemic analysis of the catalogue’s production and decision making process brought key bottlenecks to light. 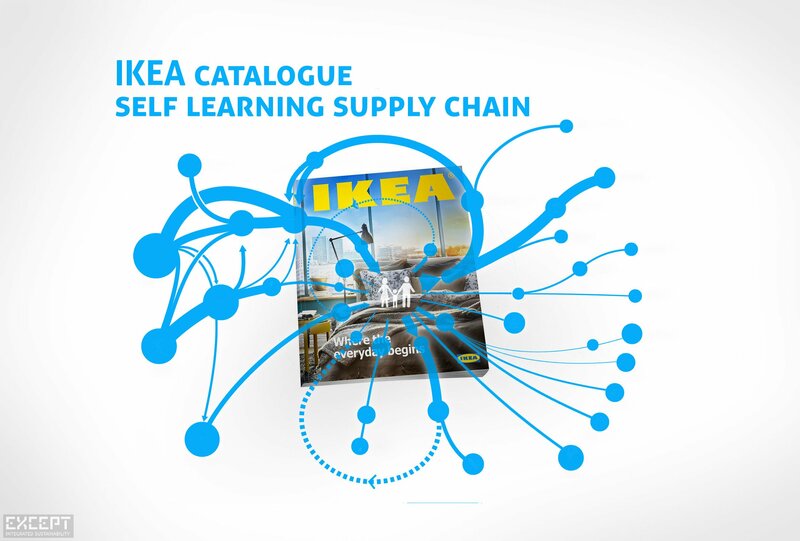 The team discovered that the data of the supply chain behind the IKEA catalogue, although high in quality, was too overwhelming for the catalogue’s purchasing managers to process. In less than eight months, IKEA, Except, Deloitte, and Trade Extensions built tools that support decision makers to source more sustainably, and enable its paper and print suppliers to transition to more sustainable processes and products sooner than expected. The Buyer Dashboard lays a humanized interface over the vast database describing the supply chain behind the IKEA catalogue. 18 KPIs summarizing 100 sustainability and quality metrics for 130 supplier locations worldwide are presented in a visual interface that allows instant oversight. The dashboard gives purchasing managers control over how they view and mentally process the data. For instance, the dashboard allows them to rate and rank any subset of suppliers against any subset of KPIs. 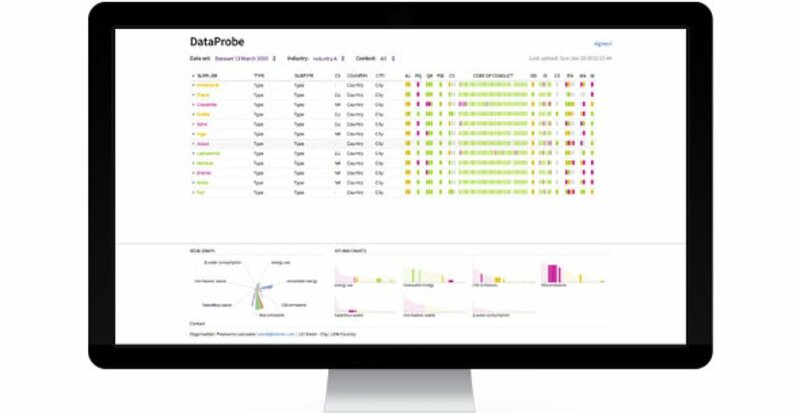 The tool transforms unmanageable Big Data into humanized information that offers insight into the supply chain and enables better purchasing decisions. With this relatively small intervention and investment, one of the largest bottlenecks in decision making was removed, which boosted the catalogue’s sustainability performance significantly. The tools developed include elements that focus on engaging suppliers in the improvement process. 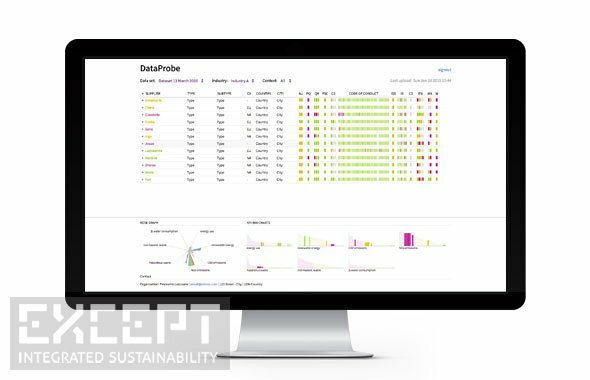 It offers suppliers visual feedback on their performance on the IKEA quality and sustainability metrics. Suppliers can see how they compare against anonymous competitors, and relative to the IKEA sustainability KPIs. It also shares best practices with suppliers to help them improve faster. It includes a game-based incentive system with reward badges that recognize suppliers for top performance or quick improvement. These also draw IKEA purchasers’ attention and help them to prioritize suppliers with the best sustainability performance. All this helps suppliers optimize their practices and increase their business with IKEA. The process did not only consist of making the tools. As part of the effort, all data in the IKEA supplier database was validated and re-structured and new KPI calculations created. The data was clustered into 18 Key Performance Indicators (KPIs) summarizing 100 sustainability, quality, and economic metrics of more than 130 IKEA supplier locations worldwide. The entire development process took less than eight months. Suppliers to the IKEA catalogue have tested the information made available to them in 2015 and report clearer insight in one’s performance relative to the IKEA criteria and competitors. As a successful project, the shared framework, language and ambitions the project effectively builds a sustainability-driven learning supply chain across the industry. As the supply chain continues to learn, these savings are expected to grow further globally. 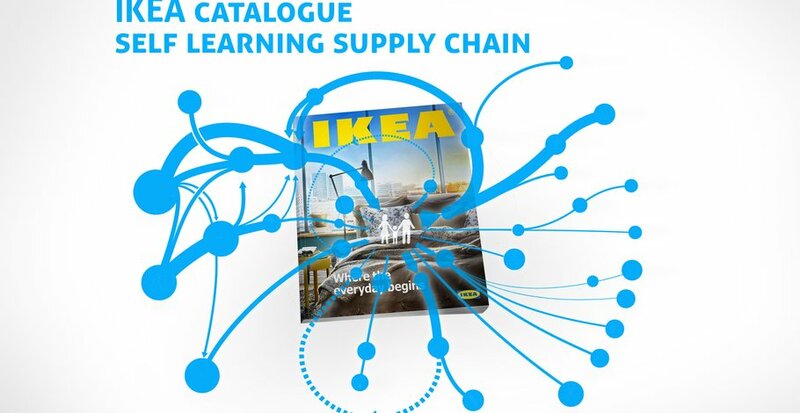 Given the volume of the IKEA catalogue’s 200-million-copies, the largest annual print run on the planet, this transformation in its supply chain triggers sustainable innovation through the global paper and print industries. In a related project Except worked with IKEA Media Production to showcase the sustainability achievements and ambitions of its 200-million-copy catalogue. Together we created two engaging communication tools: a storytelling infographic for the IKEA customer-facing staff, and a data-packed dashboard for critical stakeholders.